The news at Star Wars Celebration never stops! 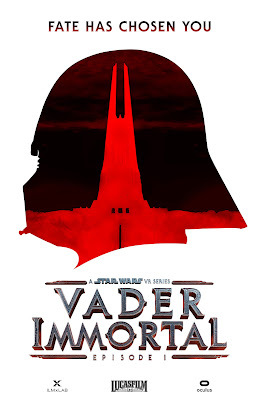 Yesterday during the Vader Immortal: A Star Wars VR Series panel, two new cast members will appear as new character in the upcoming VR experience. Former Saturday Night Live cast member Maya Rudolph will play a droid called ZOE3. The droid was written with Rudolph in mind, and will continue the tradition of witty companions in Star Wars. Also joining the cast are a pair of Star Wars animation stars. Steve Blum, who played Zeb on Star Wars Rebels will lend his voice to the character Admiral Karious. In addition, Star Wars Resistance star Scott Lawrence will lend his voice to Darth Vader. Fans attending Celebration have the opportunity to try a demo of the first episode at the Oculus booth (#4823) on the show floor. Vader Immortal episode one will be available at launch with the Oculus Quest headset.